Most Southern California homeowners who entertain outdoors usually have either a fire pit or a patio fireplace in at least one of their outdoor entertaining areas. This is where you roast marshmallows with the kids, snuggle with your partner under the stars, share a fantastic bottle of wine with friends, and catch up on local gossip with your favorite neighbors. 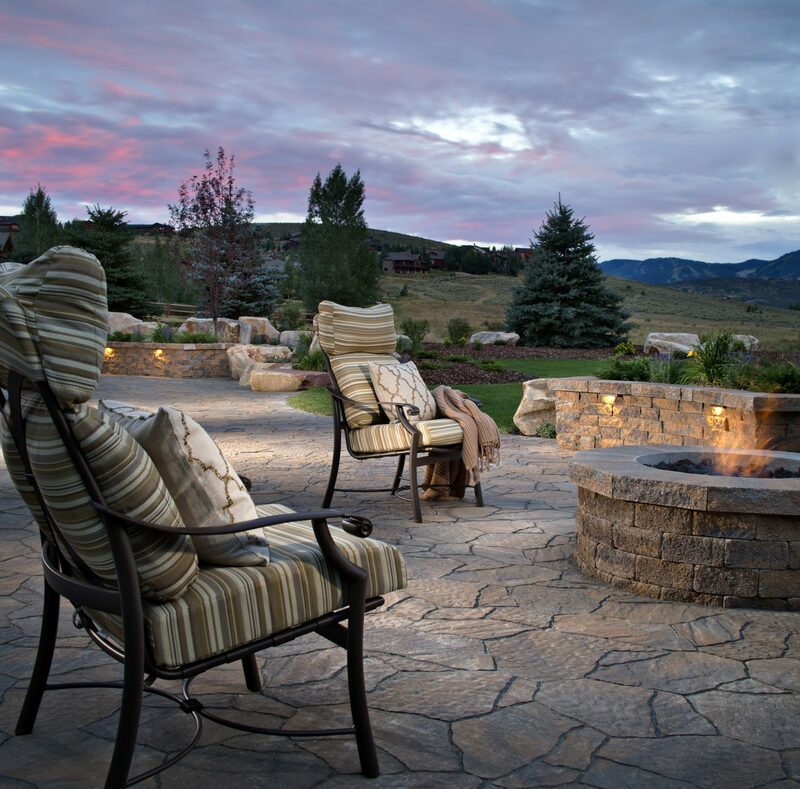 Fires, whether used for cooking or as a heat source, have always been gathering places, and the fire pits and fireplaces we install in modern backyards still serve this purpose. However, science and experience has taught us quite a bit about the pros and cons of burning wood, which has led to many folks looking for wood alternatives for their fire pits. Wood is the traditional fuel nearly all of us grew up using in campfires, indoor and outdoor fireplaces, and fire pits. The smells, sounds and glowing embers take us back to those childhood camping trips and memories of roasting hot dogs on hangers with our cousins. While there are certainly sentimental reasons to burn wood in your fire pit or patio fireplace, there is a growing list of reasons why you might want to start considering alternative fuel sources. Burning wood increases air pollution. Burning wood releases carbon monoxide into the air, which you, your children and your guests then breath in. Burning wood leaves a messy creosote residue in the fire bowl of your fire pit, in the fire box of your fireplace and in your chimney. Creosote buildup can cause unwanted fires. The production of firewood requires cutting down trees unnecessarily. Some municipalities no longer allow wood fires. The U.S. Environmental Protection Agency (EPA) advises people with cardiovascular or respiratory ailments to avoid wood smoke. Breathing in the tiny particles and gases of wood smoke can irritate your nose, lungs and eyes causing burning and coughing. If you were not already questioning whether or not you should continue burning wood in your fire pit, you probably are now. So, if this list has you convinced that it might be time to look for wood alternatives, here are some to consider. 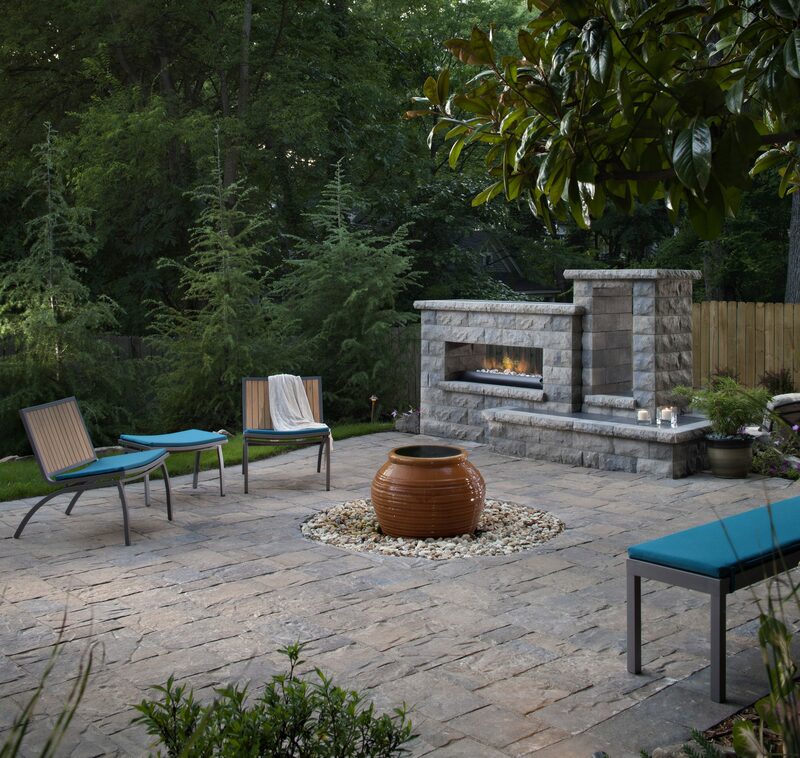 If you have the budget and are ready to replace your fire pit, opt for a natural gas fire pit or a bioethanol fire pit to significantly reduce the health and environmental hazards while still enjoying a backyard fire feature. For your patio fireplace, you can convert it to natural gas and continue to enjoy the ambiance of fire without the creosote or the need to cut down trees for your outdoor entertaining needs. While natural gas and bioethanol fire features are currently considered the greener, cleaner-burning options of choice, there are lots of folks who already have wood-burning fireplaces and fire pits and either do not want to get rid of them or cannot afford to replace them. Fortunately, there are eco-friendlier wood alternatives to try to see which one best suits your outdoor entertaining style and works best for you. Wood bricks, also called biomass bricks, are made from recycled sawdust and wood chips that are condensed into bricks and dried in a kiln. They reportedly burn hotter than traditional firewood, burn much cleaner and take up much less storage space. Because they are made from wood chips and sawdust, they are also considered fine to use for roasting marshmallows. 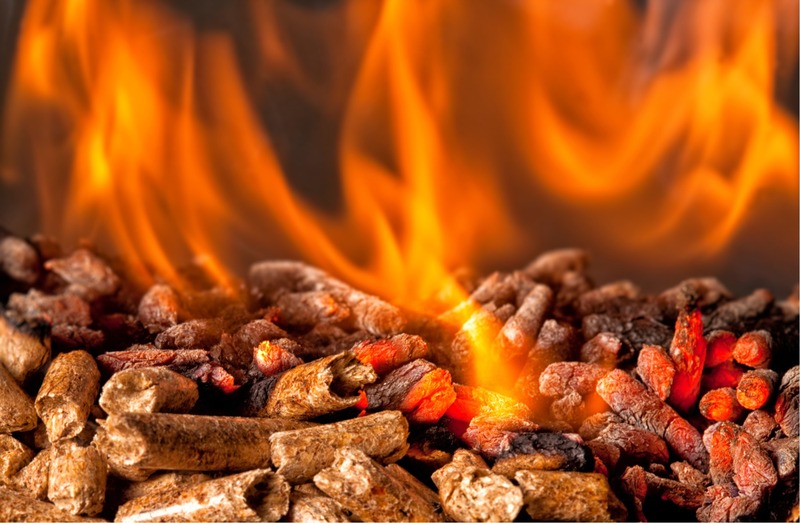 Wood pellets can also be used for cooking or heating fires and are quickly becoming one of the most popular alternatives to wood. Like wood bricks, pellets are made from condensed sawdust and scraps from lumber mills. You will need to invest in an insert for your patio fireplace in order to safely and efficiently burn wood pellets. If you want to burn wood pellets in a fire pit, there are specially designed fire pits for burning pellets, or you can make or buy a metal basket to use in your current fire pit. Logs made from soy and switchgrass, such as the SwitchFire Log developed by Farmed Fuels, are an eco-friendly option that does not even leave much of a mess. Since the soy wax burns off as the logs burn, there is no soy residue in your fire pit or fireplace once the fire burns out. 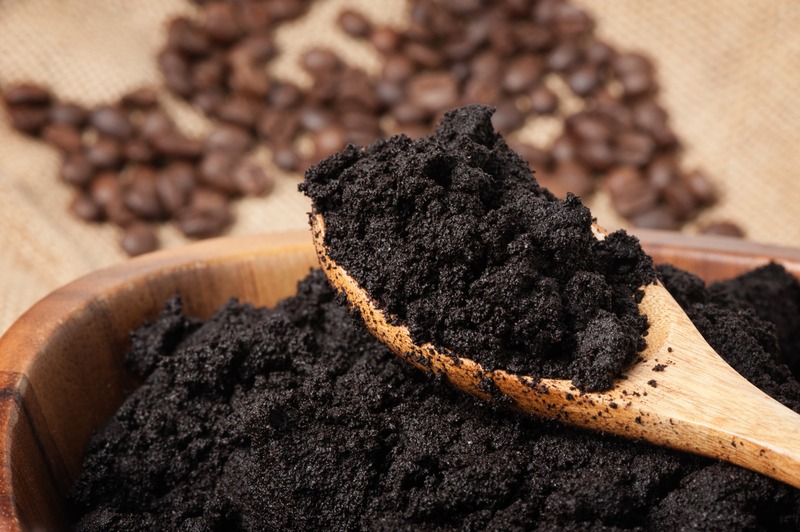 Java Logs do double duty by keeping coffee grounds out of landfills and creating a cleaner-burning log you can use in your fire pit or patio fireplace. While it does have a little bit of an aroma, it does not make your outdoor entertaining areas smell like a coffeehouse. Some fire logs that you can buy at grocery stores or home improvement stores to burn as wood alternatives are made from petroleum-based waxes and sawdust. Burning petroleum-based products comes with its own environmental and health concerns, but there are now options made with non-petroleum waxes that are much better options. These natural wax fire logs are usually made from a combination of sawdust and plant-based waxes. What did we miss? If you have used other wood alternatives for cleaner, eco-friendlier fires in your fire pit or outdoor fireplace, please share your experience in the comments!